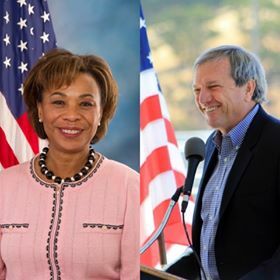 This event kicks off an ongoing series of town hall discussions that Representatives Barbara Lee and Mark DeSaulnier will be holding on the topic of race. Congresswoman Lee represents California’s 13th district, which includes Alameda, Albany, Berkeley, Emeryville, Oakland, Piedmont and San Leandro. Congressman DeSaulnier represents California’s 11th district, which includes Concord, El Cerrito, Orinda, Pittsburg and Richmond. All are invited to attend the event. If you would like to come, please let us know by registering. For more information or ADA accommodations, call 925.933.2660.